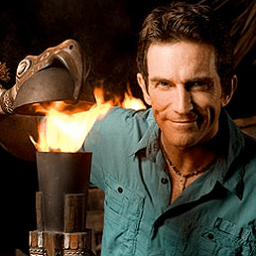 Synopsis: Two tribal councils in one hour, and a surprise advantage may pay off for one castaway’s game. Once again the Predictions thread is back up to fulfill your Survivor: Edge of Extinction prophesying needs! Post your serious (or not-so-serious) predictions for Episode 10 here. In case you haven't heard, The Amazing Race season 31 will feature a cast made up 3 Survivor teams in addition to several Big Brother Teams and returnee TAR teams. If you want to cheer on Chris & Bret, Corinne & Eliza, and Rupert & Laura, /r/TheAmazingRace is the place to do so. Episodes are set to air on Wednesdays at 9 pm following Survivor, starting tonight! Here are the results from Episode 9's Day After Survey. Redmond has revealed the rumored Season 40 theme here, and that a cast of winners have been asked to return. We are all very excited for this long anticipated theme, and to consolidate we've created this megathread for all your potential casting questions, thoughts, and wishes, and fan castings.